Microsoft is all set to roll out the Windows 10 Creators Update for all 13 eligible Windows 10 Mobile devices. 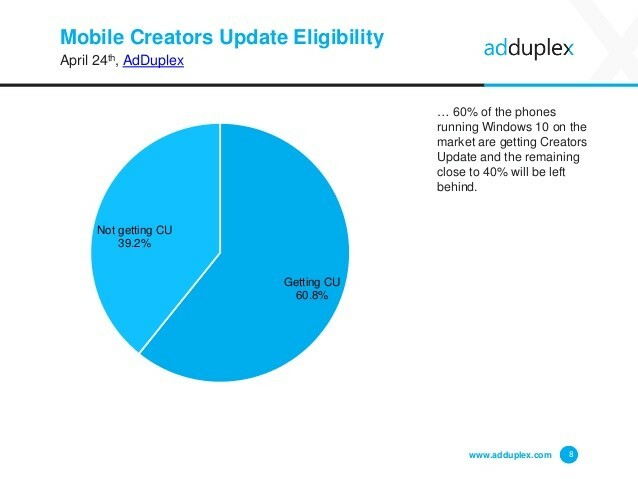 Meanwhile a popular advertising network AdDuplex says that More than 60% Windows 10 Mobile devices are eligible for Creators Update. 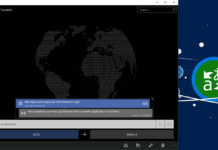 Basically AdDublex monitors usage across its network to create a detailed monthly breakdown of Microsoft’s mobile ecosystem along with Windows 10 PCs and more. 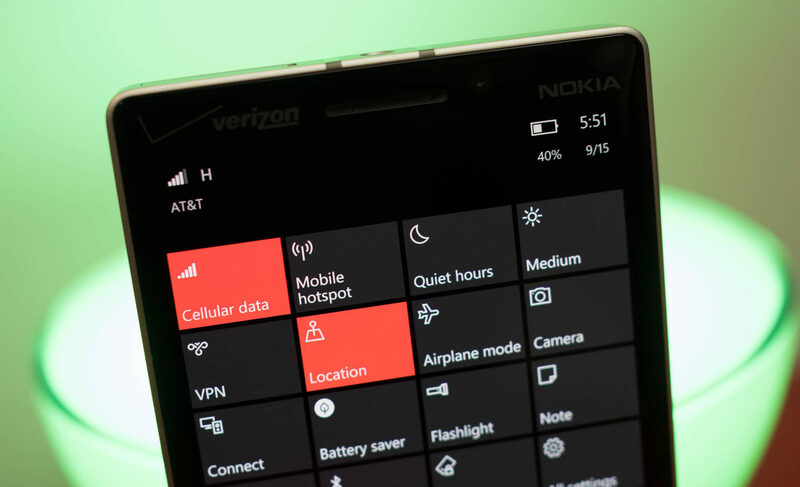 One of the most fascinating facts from this months report is belongs to the Windows 10 Mobile. As you know that the Microsoft to end support for all Windows 8.1 devices (except 640 and 640 XL) with the release of Creators Update. Only 13 Windows 10 Creators Update eligible devices holds 60.8% of market in Windows 10 Mobile. As per the last months report just 17% of Windows phones are running Windows 10, that means after today, just 10.3% of handsets will be supported. And another big thing from this report is that 7% of Windows 10 Mobile devices are already running the Windows 10 Creators Update build. And combining this number to the post creators update build this makes more than 10% on Creators Update! Here take note that, anyone actively using a phone in the Fast ring should be on feature2, and anyone on the Slow ring should be on the Creators Update (1703). Has the rollout already started? Windows 10 Mobile Creators Update is not yet available in the production ring. It is now rolling out to the release preview ring. Please cross verify before you provide information. That’s alright. Microsoft is just wasting time by not delivering it to production ring customers. I am sorry for being rude.